Multiple sclerosis is an inflammatory demyelinating disorder of the central nervous system with a wide spectrum of clinical signs and symptoms. Multiple sclerosis lesions have a predilection for the optic nerves, periventricular white matter, brainstem, spinal cord, and cerebellum. The mechanisms responsible for multiple sclerosis are complex and heterogeneous across patients and disease stages. No specific markers exist for the definite diagnosis and prognosis of multiple sclerosis. The afferent visual pathway, which extends from the retina to the primary visual cortex including the optic nerve, is one of the most commonly affected sites in multiple sclerosis (94-99%). Pathology of affected optic nerves exhibits inflammation, demyelination, gliosis, axonal injury, and thinning of the retinal nerve fiber layer (RNFL). The RNFL is composed of unmyelinated axons, and measuring RNFL thickness is a viable method to monitor axonal loss reflecting disease progression. Optical coherence tomography is a noninvasive and reproducible tool in assessing the impact of multiple sclerosis on the thickness of the RNFL. Assessment of the afferent visual pathway using clinical, imaging and electrophysiological methods provides insights into the pathophysiology of multiple sclerosis and may also serve a prognostic role in multiple sclerosis. 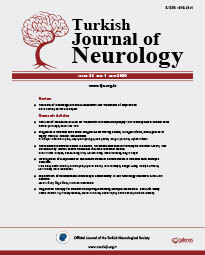 Keywords: Multiple sclerosis, optic neuritis, tomography, optical coherence.